Kuala Lumpur, May 6, 2011 — According to a new report, How Can We Avoid a Stroke Crisis in the Asia-Pacific Region?, urgent coordinated action is needed to avoid millions of preventable strokes, which leave many patients who have atrial fibrillation (AF) both mentally and physically disabled, or dead, every year. The report, launched today during the 18th Asian Pacific Congress of Cardiology (APCC) by Action for Stroke Prevention, a group of health experts from across the globe, proposes urgent measures to prevent stroke in Asia-Pacific patients with AF, the most common, sustained abnormal heart rhythm and a major cause of stroke.2 The report’s recommendations are endorsed by 32 leading Asia-Pacific and other global medical societies and patient organizations, reinforcing and recognizing the need for a call to action. “With the majority of AF-related strokes being preventable, we believe that implementation of these recommendations now will contribute to the prevention of stroke in patients with AF and, in turn, reduce the dramatically increasing clinical, economic, and social burden of stroke in Asia-Pacific,” said Professor Gregory Lip, Professor of Cardiovascular Medicine, University of Birmingham Centre for Cardiovascular Sciences, City Hospital, Birmingham, UK. "Atrial fibrillation strokes are largely preventable through awareness, early detection, and proper treatment," said Mellanie True Hills, an atrial fibrillation survivor who is Founder and CEO of StopAfib.org, an atrial fibrillation patient advocacy organization. 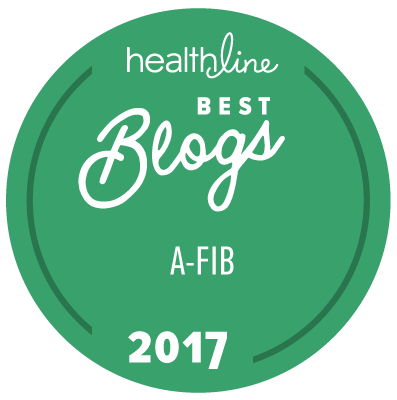 "The symptoms of atrial fibrillation are frequently missed or not recognized, and it therefore may not be diagnosed and treated until after a stroke or two, resulting in thousands of unnecessary deaths and disabilities. And even after being diagnosed, many patients do not receive the protective medication that they need to prevent a stroke. The impact in Asia-Pacific is staggering. Simple steps, such as routine pulse checking, can detect irregular heartbeats and prevent atrial fibrillation strokes." More significantly, the impact of stroke is predicted to rise dramatically as the number of individuals affected by AF is expected to increase due to an ageing population and improved survival of patients with conditions which predispose AF (e.g., heart attack). Download PDF report: How Can We Avoid a Stroke Crisis in the Asia-Pacific Region? The authors and reviewers are comprised of cardiologists, neurologists, primary care practitioners, haematologists, patient representatives, policymakers, hospital pharmacists, and health economists.